I've been unable to write about the state budget recently passed by Republicans in Raleigh, because every time I began to compose, the rage threatened to choke off my air supply. 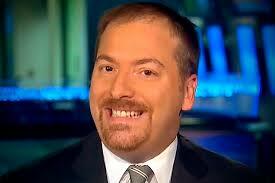 Plus Chuck Todd wants us all to lower the rhetoric. You know, right? that the Republicans in the General Assembly cut the budget of the Department of Justice by $10 million, which will force the Attorney General to lay off fully one-third of the staff that prosecute crimes and/or defend the NCGA when its unconstitutional laws are challenged in court. They cut the Attorney General's budget because Josh Stein won the election last November (just as they've knee-capped the governor repeatedly for the sin of beating their asses at the ballot box). You do not get more petty than that. You do not sink lower than that. You do not do more direct harm to the citizens than handicapping the law enforcement apparatus that should protect them. The NCGA also tried to buy off teachers by giving them a raise in the budget while also granting a tax cut that will disproportionately benefit the top earners while keeping North Carolina's ranking among all the states for public education spending at 41 out of 50. They zeroed out funding for legal aid to the poor. After screaming for years about Democratic "pork barrel" spending, they jumped into that soupy pool with both feet and clothes still on, designating over $70 million for special projects in districts represented by Republicans. Some of the largest earmarks go to Republican House Speaker Tim Moore's home county and to Senate President Phil Berger's county. It was corrupt when Democrats did it. It's still corrupt. Some $5.78 million in pork goes to so-called "downtown revitalization grants," like the one for Cliffside in Rutherford County, which isn't a municipality and has a single retail business as a "downtown," a Dollar General. I must stop. It only gets worse. It makes me thirsty for revenge. Do You Have a Relative in a Nursing Home? Trump and the "Possibility of Being Fired"
"Stroke My Monkey! Stroke It!"